I got access to the Internet as early as 2000, so I have dabbled with regrettable online usernames. But the inspiration to get a proper username, then later a personal brand, stems from the many Art classes I took at school. I was horrible at it, the teacher gave me a hard time (though all has been forgiven today) and it felt like a complete waste of time. However, I did have a passion for art at the time, to the point of choosing that over Music class. Marc Ecko is a successful entrepreneur of a clothing line, and has a game about tagging graffiti once. But at one of the Art classes we were to do shirt printing. We all had to come up with a design. I ended up doing some sillhoute of a samurai with something written in katakana (oh, I was a total weeb at the time lol) but this one friend went with copying a design from a Marc Ecko shirt. The “ECKO” writing got me thinking a lot. “If I put in an M and an N at both edges that could be my own name”. I go by “meon” (meck-on) mostly at the time, so that thought sort of got stuck in my head for a while. Another art class inspired a name so classy, a friend took it as his personal email. I sort of try to replicate that name, adding something from “meckon” but it comes out stupid. “meckon” stuck for a long while, that I tried to use it as a name for a comic series I was trying to make at the time. It went to be the name of the protagonist, but with a slight tweak. I gave it a long thought that if I ever go big and international, “meckon” may not sound like how I intend it to be to other people in other parts of the world. Don’t want another “Tie-dus” VS “Tee-dus” situation. And I don’t like having hyphens. The problem was between K and O, it can easily rolled into. So I added a letter. R. Why R? Because it’s the only one that sounds nice, aggressive even. “meckon” is pretty cutesy in both pronunciation and socially. So the R sticks to become Meckron. Since the comic never got going- it was not at all original anyway- the name is pretty much available. But I still associate the name to that fictional, unpublished character, so I tried adding something to the end, like that other art class that inspired my terrible email. And so, meckronos was born. It’s based on my own nickname, the CK was from Marc Ecko, R to look edgy and remove the cuteness and the OS at the end..because..reasons. I was a teenager. So what about the profile pic? 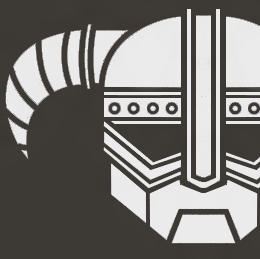 On thinking of a proper profile pic that is not Nutty from Happy Tree Friends and not an 8-bit Boboiboy, I found this sick T-shirt design of an Autobot symbol wearing the iconic iron helmet of the Dovahkiin, seen in Skyrim’s trailers. 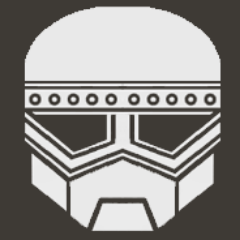 With a little bit of Photoshop, I cleaned it a bit to get it in the right colours: dark grey and white. It went through various revisions. It’s a bit hard since there’s only one source image of it to work with, but I managed to make a high-res version of it, with some details removed for clarity. It need to be an icon, so clarity is key. The iconic horns had to be removed unfortunately. It was too big that if the icon is put in its full, it’s too small. It had to be placed in such a way that the icon won’t fit in wholly. So it got chopped off eventually, once as a gag for Ramadhan- exchanging the horns for a kopiah (lol), but with some revisions, the profile picture you see consistent everywhere is what you get. 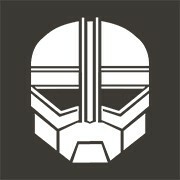 Until another rebrand process happen. I don’t go to those marketing classes, I just thought it was a good thing to have a good, proper and consistent image across the Internet at the time. Now that personal branding is a thing, let’s just say I was ahead of the curve. But really, having something unique and easily searchable as your brand is crucial nowadays. If you create content, you want your content to be easily found and seen. Right? Same goes to personal branding. Make it easy for people to find you and it will help you grow in presence in the long run. So if you’re an aspiring content creator, think of your brand. You can make your own brand that isn’t associated with yourself, easier to get more people on board and help out. Or make one revolving yourself. Or both. The choice is yours.